The draw for the 2013 bet-at-home Open was released earlier today, with Roger Federer as top seed. The Swiss maestro decided to play in Hamburg just ten days ago, looking to add more tournaments to his schedule with the long break ahead of the summer hard court season. It is the first time Federer is playing in the tournament since 2008, when it was a masters 1000 event. Today, the bet-at-home Open is an ATP 500 tournament. The Swiss receives a first round bye, facing Daniel Brands in the second round (Wednesdays July 17). From there, he is likely to face an early test against Ernests Gulbis in the third round. By seeding, Federer could face Alexandr Dolgopolov in the quarterfinals, either of Jerzy Janowicz, Jeremy Chardy, Tommy Robredo or Fernando Verdasco in the semifinals, and Tommy Haas, Nicolas Almagro, or Juan Monaco in the final. Read the editorial, Roger Federer: Astonishing Legacy. 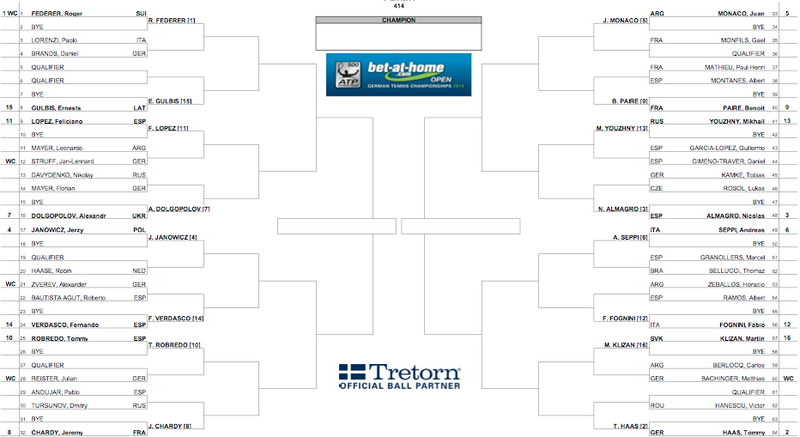 The 2013 bet-at-home Open begins July 15. Download the printable draw here or view the full draw below. See photos and practice video: Is Roger Federer testing out a new racquet? 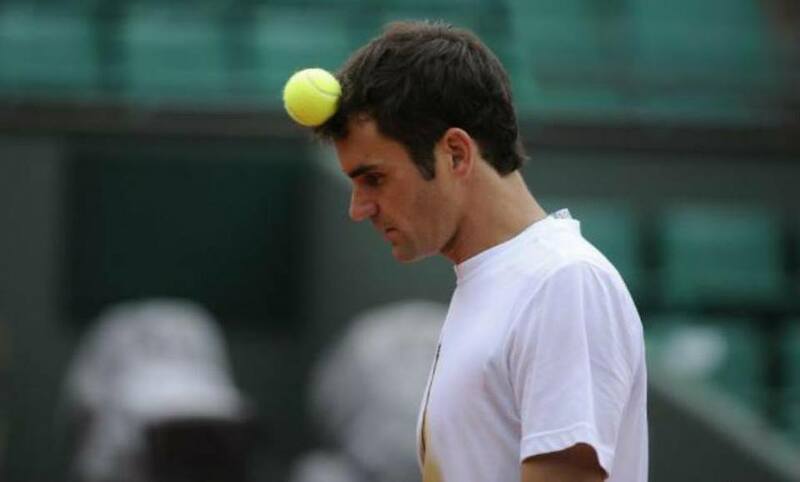 Is Roger Federer testing out a new racquet?